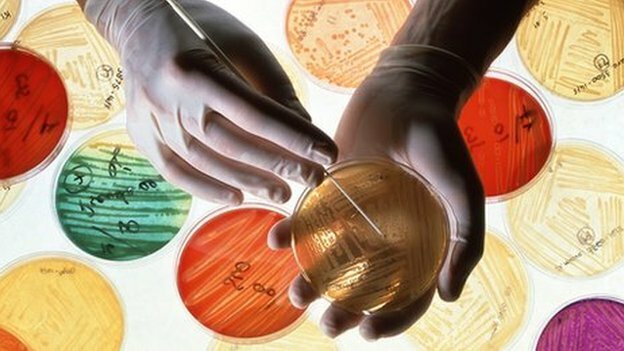 Resistance to antibiotics poses a “major global threat” to public health, says a new report by the World Health Organization (WHO). It analysed data from 114 countries and said resistance was happening now “in every region of the world”. It described a “post-antibiotic era”, where people die from simple infections that have been treatable for decades. Less than one out of every 100 stroke survivors met all of the American Heart Association’s criteria for ideal cardiovascular health, researchers found. The percentage of patients who met none or only one of the seven goals used to define ideal cardiovascular health increased from 18% in 1988-1994 to 33% in 2005-2010, and less than 1% achieved all seven goals, according to Michelle Lin, MD of the University of Southern California in Los Angeles. The participants improved in some metrics over time, but worsened or remained stable in most, Lin reported at the annual meeting here of the American Academy of Neurology. Can-Fite BioPharma Ltd. (NYSE MKT:CANF) (TASE:CFBI), a biotechnology company with a pipeline of proprietary small molecule drugs that address inflammatory and cancer diseases, announced today that it has submitted a study protocol to the U.S. Food and Drug Administration for its Phase II clinical trial of CF102 for the treatment of advanced liver cancer. The FDA has granted Orphan Drug designation to CF102 in this indication. The protocol, which has already been approved by the Institutional Review Board (IRB) in Israel, will also be filed in Europe. A group of MPs is urging the government to allow the testing of newborn boys for a deadly muscle wasting disease. Duchenne muscular dystrophy (DMD) affects one in every 3,500 newborn boys, and many will die before age 30. Although a test exists, it is not used to check for the disorder at birth in the UK. (Reuters) – Amicus Therapeutics Inc said its experimental drug significantly reduced the abnormal accumulation of fat in body cells related to a rare genetic disorder that could lead to heart attack, stroke and kidney failure. The company, whose shares rose as much as 36 percent, said it would file for U.S. marketing approval based on these results and those from an European trial, expected in the third quarter. 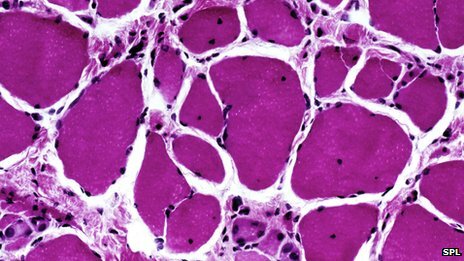 The late-stage trial evaluated the drug, migalastat, as a form of monotherapy for certain Fabry disease patients after 12 months of treatment. The adhesion molecule CD146 plays a vital role in inflammation and offers a promising therapeutic target for treating inflammatory bowel disease (IBD) as well as preventing colitis-associated colorectal cancer, say scientists. Targeting CD146 with anti-CD146 antibody AA98, especially in combination with an anti-TNF-alpha antibody, showed promising results in mice. Their report is published in The American Journal of Pathology. The number of people who use electronic cigarettes in the UK has tripled over the past two years to 2.1 million, a health charity estimates. (Reuters) – Britain’s AstraZeneca urged its shareholders to take no action over the approach by U.S. drugmaker Pfizer Inc on Monday and said it remained confident in its independent strategy. Pfizer said earlier on Monday it had made a 58.8 billion pounds ($98.9 billion) bid approach to AstraZeneca in January and had contacted its British rival again on April 26 seeking further discussions about a takeover. “In this discussion, the Chairman of Pfizer did not make a specific proposal regarding an offer to acquire AstraZeneca,” Astra said. The logo of Bayer AG is pictured at the Bayer Healthcare subgroup production plant in Wuppertal February 24, 2014. (Reuters) – German drugmaker Bayer AG is exploring the sale of its $10 billion plastics unit to focus on growing its health business, Bloomberg reported citing people with knowledge of the matter. (Reuters) – Saudi Arabia confirmed 26 more cases of Middle East Respiratory Syndrome (MERS), which has killed nearly a third of sufferers, and said 10 more people have died from the disease. The confirmations follow Egypt’s announcement on Saturday that it had confirmed its first case of MERS in a man who had recently returned to the country from Riyadh, where he was working.